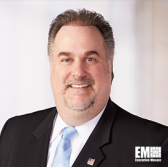 Cameron Chehreh, chief technology officer at Dell EMC’s federal business, has said federal agencies should come up with a multicloud strategy in order to leverage the cloud platform as an operating model, FedScoop reported Monday. Chehreh called on agencies to assess how they plan to field, operate and manage applications in a multicloud IT environment and discussed how certain workloads could prompt them to transition to that type of environment. “There are going to be workloads that agencies will find are not technically or financially viable to run in a public cloud infrastructure,” he said. Chehreh cited the Agile Manifesto and its impact on software development and how DevOps, agile development, microservices and containerization help agencies transform their IT service delivery efforts.